It’s no secret that for a subscription business to succeed it must grow its subscriber base. Subscription growth comes from acquiring and retaining paying customers (active subscribers) who are under contract for a defined period of time. For this reason, PicMonkey has always used Active Subscriber Count (ASC) as one of their primary methods for monitoring the health and growth of their business. ASC is a metric that is constantly changing. Sign ups, cancellations, plan changes, and reactivations are all actions that can immediately affect ASC. Other factors such as payment grace periods and churn dates also factor into the ASC calculation. Therefore, manually calculating ASC on a daily, weekly, or monthly basis limited PicMonkey’s ability to make quick decisions necessary to drive growth. PicMonkey’s original method of calculating ASC included manually pulling data from Google BigQuery, creating multiple spreadsheets based on specific date ranges, summarizing the data, and then calculating ASC. 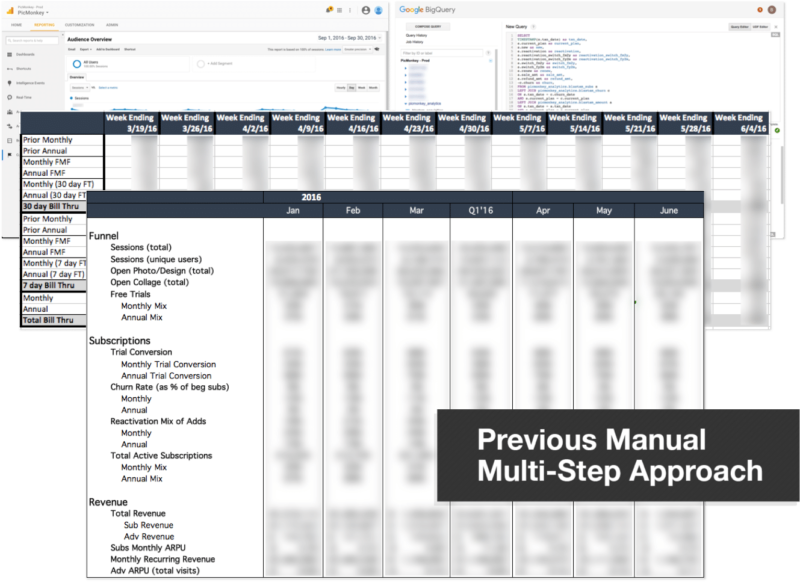 The last step was to copy the final calculations into a weekly or monthly performance report. This took management a considerable amount of time to create and carried the added risk of reporting errors. Working with PicMonkey to create metrics and definitions for each KPI to ensure that calculations were consistent across the board. Writing advanced SQL scripts to pull necessary data from BigQuery and perform calculations. 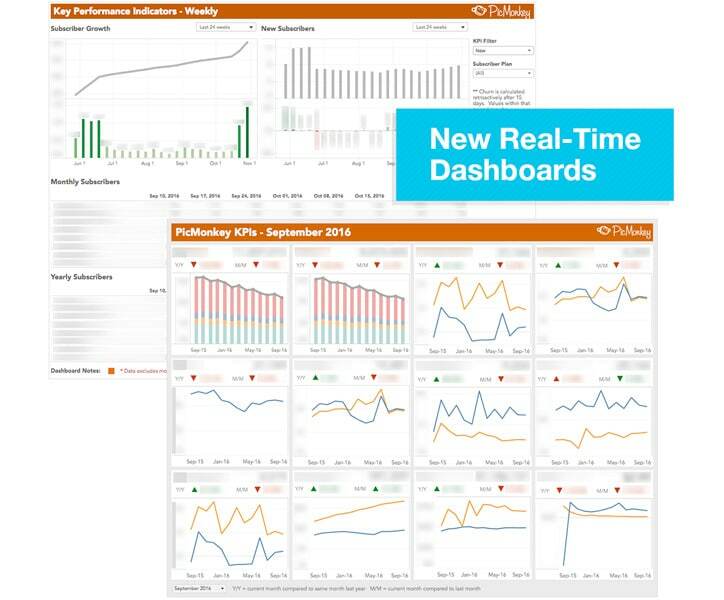 Automating dashboards (using Tableau) to provide total ASC as well each component of the ASC calculation. Creating a company wide strategic KPI dashboard using the same methodology. By implementing report automation and creating dashboards, PicMonkey now has real-time insights into their ASC, as well as a dashboard created for all strategic KPI’s. These insights enable PicMonkey to quickly tune campaigns and increase their marketing acquisition efforts. Our engagement with Blast over the last year has helped us run our business and make actionable decisions. The relationship originally began as a way to purchase Analytics360, with Blast executing the implementation. Once we passed this hurdle, Blast began understanding our business and developed insights for key stakeholders. We’ve really enjoyed working with Greg and Blast!